October 19, 2016 September 26, 2016 / Julie Brook, Esq. You’re dealing with a debtor who won’t pay up and you decide to garnish his or her wages. It’s a very technical process, but these seven steps break it down. Fill out the application. Complete an application for an earnings withholding order (EWO) (Judicial Council Form WG-001). Be sure that you authorize a registered process server (RPS) to serve process in your application. Pay the RPS fee. RPS fees vary greatly but often range from $65 to $225 per service. Be aware that even when using and paying for an RPS, you still must pay the $30 sheriff fee. A copy of the form judgment debtor may use to provide a financial statement. Employer completes its return. Within 15 days of service of the EWO on the employer, the employer must complete the employer’s return (Judicial Council Form WG-005) and send it to the levying officer. Employer withholds earnings. The order instructs the employer to withhold earnings beginning on the 10th day after service of the order on the employer and continuing until the earliest of several possible dates listed in CCP §706.022(a). The order instructs the employer to withhold either 25 percent of the debtor’s net disposable wages for a week or 50 percent of the amount by which the debtor’s disposable earnings for that week exceed 40 times the state minimum hourly wage (if a local minimum hourly wage is higher, then use the local minimum hourly wage in effect at the time). CCP §706.050; 15 USC §1673(a). For withholding percentages on support orders, see CCP §706.052(a), (c). Employer pays levying officer. 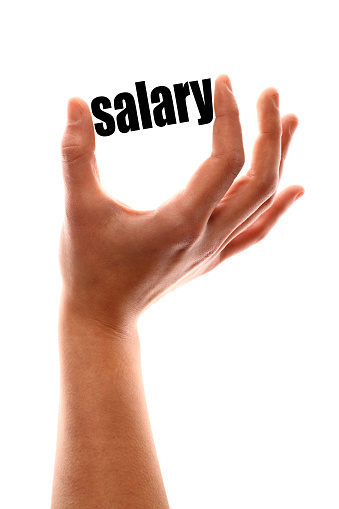 Employer pays the withheld amount to levying officer at least monthly, no later than the 15th day of the month. CCP §706.025(a). For step-by-step expert guidance on all aspects of collecting money awarded in a California state court judgment or a federal judgment in California, turn to CEB’s Enforcing Civil Money Judgments (Action Guide). And check out CEB’s program Creditors’ Rights and Remedies, available On Demand. Great stuff as always, Julie Brook. One issue that surprises creditors: There can only be ONE wage garnishment at a time in place against a debtor. If another creditor already has a garnishment in place, too bad: creditor No 2 has to wait. Thanks, Brian. Appreciate you adding that important point. I have a judgment for over 70,000.00 that the person is ignoring. I have just found out that the company she works for is registered in the state of California. Can I try to garnish her wages? If so do I need to hire a lawyer? Any answer and tips will be greatly appreciated.